It's still very windy here, and I've been collecting windfall acorns again with the intention of making some little acorn charms in solid silver. So seeds and nature's harvests have been on my mind, and inspired this collection of beautiful jewellery from European artisans. You can see more Monday Moodboards on Star of the East's Blog Hope you all have a lovely week! 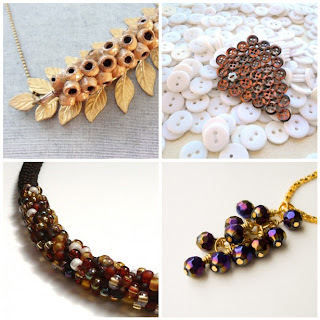 What beautiful choices - inspiring for fall! Beautiful collection! Thank you so much, Erika! This is lovely! Ears of wheat and bunches of grapes, all rolled into one.